Bashar al-Assad‘s regime has reverted to the use of a chemical gas first used at Ypres in the First World War in a series of recent attacks, Western officials believe. François Hollande, the French president, on Sunday declared the Syrian leader had continued to use chemical weapons on the front line, though he added definite proof had not yet been established. Officials are examining attacks on at least three towns in the last week where credible reports point to the use of chlorine gas, leaving dozens of people seeking treatment for the symptoms of poisoning. While the Syrian regime has handed over 80 per cent of its declared chemical weapons stockpile for destruction under UN supervision, the attacks appear to show Assad’s regime is continuing to use poison against its own civilians. Gas attacks are seen as a particularly effective tool in sparking panic and fear in rebel-held areas. On Sunday, Laurent Fabius, the French foreign minister, indicated intelligence reports on the attacks were being scrutinized, stating his officials received “indications” of recent chemical attacks that were still being verified. American and British officials are thought to be currently examining video footage of Chinese manufactured chlorine gas canisters rigged with explosive detonators hitting the town of Kafr Zita near Hama. Activists said the gas was used during fierce fighting when regime troops appeared to be losing control of the strategic town of Khan Sheikhoun. Since the initial attack on April 11, there have been at least two more chlorine related incidents in the rebel region. In response to the rebel accusations, Damascus has blamed the al-Qaeda linked Jabhat al-Nusra, claiming it in fact used the gas. Eliot Higgins, a British blogger known as Brown Moses, who follows attacks in Syria, believes the regime’s explanation does not stand up as the bomb was dropped from a helicopter. “As reports claim a helicopter dropped the bomb, it seems highly unlikely Jabhat al-Nusra would have been operating a helicopter,” he said. Hamish de Bretton-Gordon, a director of SecureBio consultancy and a former commander of the British Army’s chemical readiness forces believes that the regime has already got rid of the declared stockpile under its direct control but that the 20 per cent of the arsenal still to be shipped under a UN accord signed last year would not be moved by an April 30 deadline as rebel forces control access points to the bases where it is stored. A recent SecureBio report warned the continued use of any type of chemical weapon in Syria and a failure to ship the entire stockpile was triggering increasing efforts by al-Qaeda linked groups to obtain chemical materials. The risk of an mass attack in the Middle East by Jihadists based in Syria remained high. 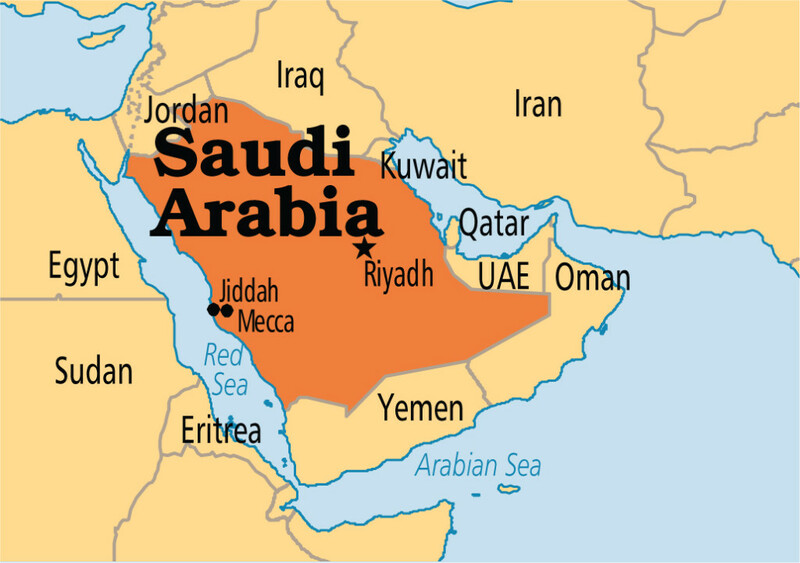 As the world’s dominant oil producer, Saudi Arabia is often seen as a wealthy nation where poverty is not a problem. The country’s oil exports revenue in 2012 reached more than $336 billion, while the native population in the kingdom is around 20 million people. 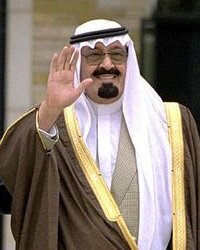 However, some citizens say they do not feel that this vast amount of wealth is [reaching] them and they have taken to YouTube where a series of first-person videos of Saudis expressing their grievances have gone viral over the last few weeks, leading to several arrests in different parts of the country. A copy of the video gained over 1.8 million views since it was posted in March 22, and it soon inspired others to follow suit by recording videos showing men and women criticizing the royal family and complaining about corruption, low salaries and unemployment. At the end of each video, the speakers would show their national ID cards in a sign that they are not afraid to be found by authorities. This is not the first time for complaints about living conditions in the kingdom to gain traction online. A Twitter hashtag, “the salary is not enough,” was launched last summer and triggered more than 17.5 million tweets over the few months that followed. King Khalid Foundation, a royal NGO that focuses on social issues, published a study last week that found that for a family of five to lead a decent life in the kingdom they need to make 8,926 Saudi riyals (SAR) ($2,380) per month. For comparison, in the public sector where the majority of the local workforce is employed, salaries begin at SAR 3,945 ($1,052) monthly. Three men who appeared in videos were later arrested, according to the Associated Press. Nervous that regional political turmoil could spill into the kingdom and cause instability, authorities have intensified its crackdown on activists in recent months. 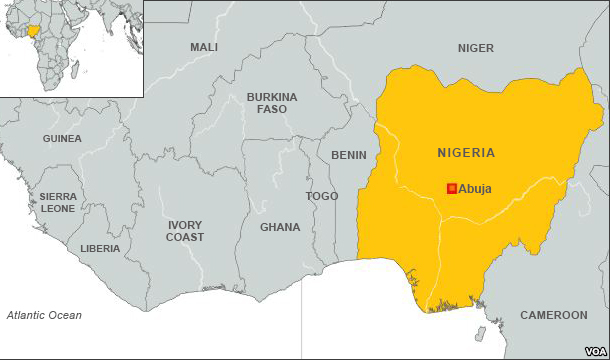 The parents of some of the girls abducted from a high school in north-east Nigeria have headed into the forest in a desperate search for their daughters. Parents of the girls have told the BBC that more than 100 girls are still missing. The girls are believed to be being held in the Sambisa forest in north-east Nigeria. A group of parents have raised money to buy fuel and water, and have headed into the forest with a local vigilante group to search for the girls. It is an extremely dangerous mission, the BBC’s Will Ross in Lagos reports. The well-armed Boko Haram fighters have killed hundreds of civilians this year, slitting the throats of many of their victims, he says. One father told the BBC he was willing to die in the forest in the attempt to free his daughter. The air force, army, police, local defense units and volunteers have all been involved in the search for the schoolgirls. Correspondents say the raid on the boarding school is a great source of embarrassment for the Nigerian authorities, who have been saying that their military campaign against the militants is succeeding. Militants from Boko Haram – which means “Western education is forbidden” in the local Hausa language – frequently target educational institutions. b) The French government says it does not have definite proof that Assad’s regime has used the chlorine. Although they do not yet have definite proof, why do they believe it is so? c) Assad’s government says it is the al Qaeda linked Jabhat al-Nusra who used the poison. What do you think? Explain your answer. b) What issues are Saudi citizens complaining about through YouTube videos? c) How has the royal family responded to these criticisms and complaints? d) Should the citizens of the Saudi monarchy have an expectation of receiving a share of the country’s oil wealth? Explain your answer. b) What word would you use to describe the parents who are going into a dangerous area in the forest to search for their daughters? Explain your answer. While chlorine is not listed as a banned chemical agent in recognition of its wide range of industrial uses, its use as a weapon of war is prohibited under the 1925 Chemical Weapons Convention. It was first deployed 99 years ago by German forces during the second Battle of Ypres during an offensive to overrun the Anglo-French trenches, costing at least 30,000 lives. 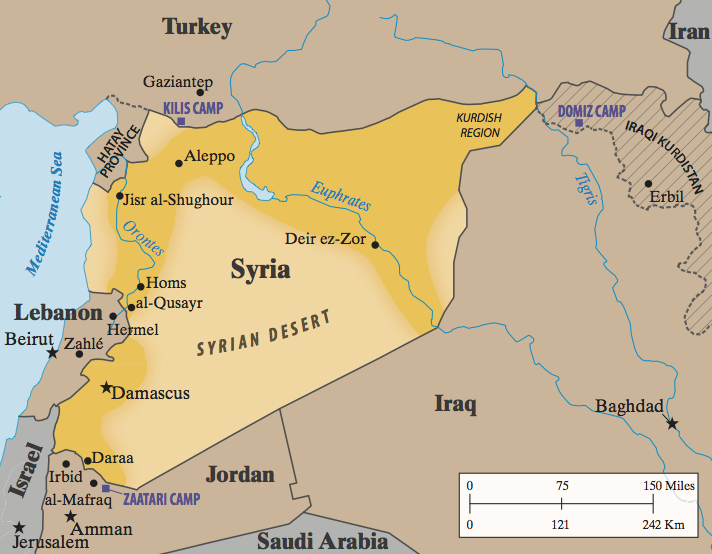 “Chlorine was a pretty good chemical weapon to use in 1915 to achieve battlefield advantages and while it has fallen pretty far down the schedule and lists of most dangerous gases in 2014 it remains an effective choice in certain places in Syria,” said Hamish de Bretton-Gordon, a director of SecureBio consultancy and a former commander of the British Army’s chemical readiness forces. Asabe Kwambura, the principal of the school from which the young women were abducted, said the students were kidnapped because of a terrible mistake. She said the insurgents arrived after midnight at her Government Girls’ Secondary School wearing military fatigues and posing as soldiers – a common tactic used by the insurgents. She said she believed them when they told her that they needed to move the girls for their own safety, so she allowed the extremists posing as soldiers to load the students on to the back of a truck. It was only as the armed men were leaving, and started shooting, that she realized her mistake. The militants killed a soldier and a police officer guarding the school. The government closed all schools in Borno three weeks ago because of frequent attacks in which hundreds of students have been killed in the past year. The girls who were kidnapped had been recalled so they could write their final exams. Boko Haram, which means “Western education is a sin” in the Hausa language, is fighting to impose Islamic law in Nigeria, Africa’s biggest oil producer. Attacks have continued after President Goodluck Jonathan imposed emergency rule in Borno, Yobe and Adamawa states last May. The United Nations estimates that the Islamic uprising has forced some 300,000 people to leave their homes since 2010 in northeast Nigeria, most displaced within the country and some across borders in Chad, Cameroon and Niger. At the end of March 2014, Nigeria’s Borno state government closed all high schools indefinitely amid fears of massive attacks by Islamic extremists, officials and teachers said, confirming a move that may be considered a victory for the Islamic extremist Boko Haram terrorist network. Amnesty International said Boko Haram Islamists killed at least 170 students and teachers last year (and the militants also burned down more than 50 schools in the region in the past year, according to the Education Ministry). Officials said some 85 schools will be closed, affecting nearly 120,000 students in an area that has the country’s worst literacy rates. They ‘‘are to remain closed until the security situation in the state improves,’’ Borno state Gov. Kashim Shettima said Monday on the BBC Hausa language service. Other schools fearful of attacks have closed in Yobe and Adamawa states. While violence has torn the northeast where Boko Haram has killed thousands, the capital in the middle of Africa’s most populous country has been relatively peaceful. There was no immediate claim for Monday’s bombing though bus stations are a favored Boko Haram target. In March 2013, the extremists drove a car bomb into the main bus station in Kano, Nigeria’s second biggest city, killing at least 25 people. Islamist militants Boko Haram killed at least 60 people in an attack on a village in northeast Nigeria, while a separate attack killed eight people at a teacher training college, witnesses said. Witnesses said the gunmen attacked the village of Kala Balge, near the Cameroon border, on Thursday (April 10), from several different quarters, shooting sporadically as terrified residents tried to flee. “I’m making efforts to evacuate my parents from the town,” said Ibrahim Bukar, 35, after escaping the attack. He said he counted 60 bodies scattered around after the insurgents left. Most have since been buried by the villagers, he said. In a separate assault, insurgents killed eight people at a teacher training college in the remote village of Dikwa on Wednesday, witnesses said. ”They entered at night. They killed my brother Madu. The insurgents shot him in front of his wife and two sons. Then they shot them, too,” Yakubu Saleh said, choking back tears over the telephone. President Goodluck Jonathan ordered extra troops into northeast Nigeria last May to try to crush the rebels, the biggest security threat to Africa’s top oil producer.